Edie Sedgwick was born in Santa Barbara, California, to wealthy highborn parents. Her early life was one of isolation, turmoil and intense societal pressures. By the age of 13, she had turned inward and began a life-long struggle with anorexia and bulimia. Edie Sedgwick was a socialite and model who became Andy Warhol’s muse in the 60s. The coroner ruled her death as “undetermined/accident/suicide” due to “probable acute barbiturate intoxication” from ethanol intoxication. 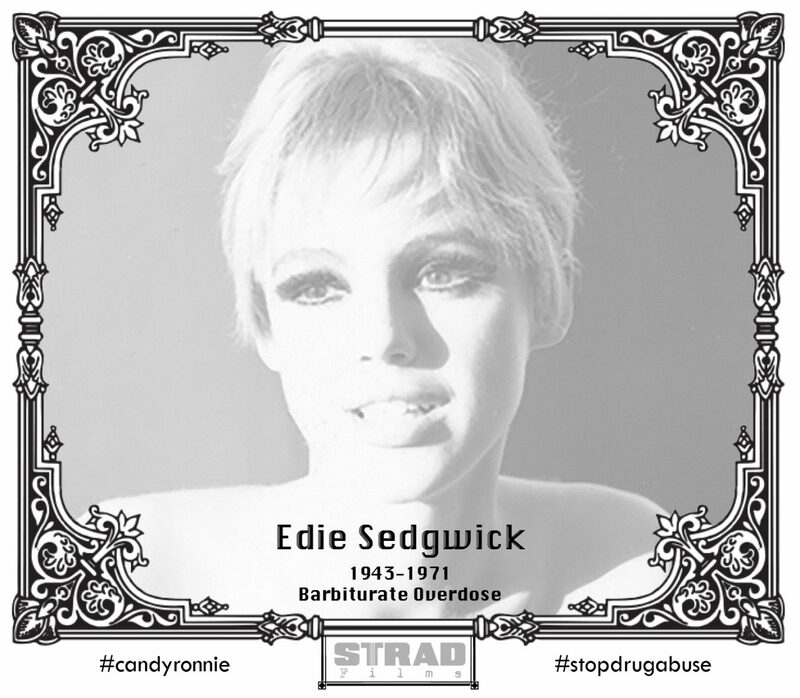 Sedgwick’s alcohol level was registered at 0.17% and her barbiturate level was 0.48 mg%. She was 28.